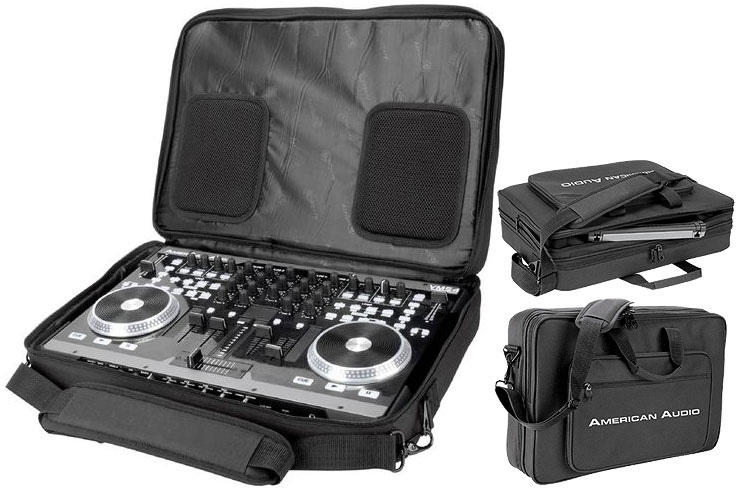 This cool road bag from American Audio is perfect for your VMS4 VMS2 or selected Midi Controllers. Road bag offers you a neat and efficient way to transport your gear. This soft nylon bag contains extra pads inside to help protect your equipment. As a bonus, you'll not only have a separate compartment for your 17" laptop but another pocket to store cables, adapters and other key accessories. The case comes with a comfortable, adjustable shoulder strap as well as a carry handle. In addition, there's an extra strap to fit on to a rolling cart making this an even more viable bag to use for gigs. Case inside dimensions (LxWxH): 19.5"x13.75"x2"